An instant connection to family, friends and caregivers, the telephone is often taken for granted. When someone just can’t hear on the phone, the frustration can become so great that using it just isn’t an option. For older adults with hearing loss, the result can lead to feelings of isolation and depression. Fortunately, Hamilton CapTel has a solution that makes amazingly clear phone conversations possible. 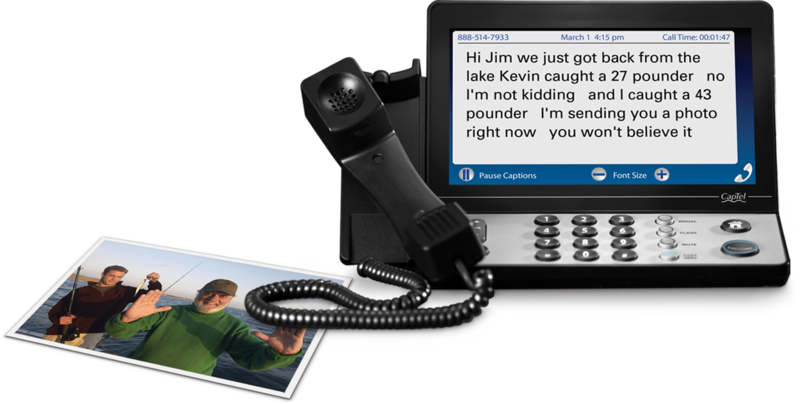 Designed to supplement existing hearing loss solutions, the Hamilton CapTel phone is the most advanced captioned telephone available, making it possible to listen and read word-for-word captions of everything said to a user – similar to captions on television. The result is clarity and confidence on every call! So join our program – designed to reconnect older adults with the people they care about most. The Hamilton CapTel Senior Care Program provides you with a number of benefits when you add Hamilton CapTel as one of your proven, professional recommendations. Both the Hamilton CapTel captioning service and phone are available at no cost to older adults with a qualified hearing loss. Complimentary informational materials – including demo phones and brochures – are available for you to show how Hamilton CapTel works. Show your patients (or clients) a Hamilton CapTel 840i or Hamilton CapTel 2400i and let them decide which phone is right for them. A simple Certificate of Hearing Loss/Order Form allows you to order a phone at no cost via printed forms or online submission. The Hamilton CapTel phone ships direct to users with nationwide phone installation support – and in many cases, in-person installation where available. Hamilton CapTel offers a national program management team dedicated to you. We are here to help both you and your patients/clients. As a senior care professional, developing a personal and enduring relationship with older adults is critical. It’s about care, compassion and trust. Recommending a no-cost Hamilton CapTel phone to your patients who have difficulty hearing on the phone builds that trust, reinforces your dedication to individual care and reconnects them with family, friends and caregivers. Since 2003, Hamilton CapTel has made more than 90 million captioned telephone conversations possible for individuals with hearing loss – connecting them to the important people in their lives. We’ve seen the life-changing results first-hand and now you can as well. The details matter – just ask anyone with hearing loss. Don’t you think the option to listen and read every word being said during an important phone conversation is valuable to those in your care? We think it’s priceless. Whether it’s a specific time, date or tall tale – getting the details of any conversation ensures clear communication. With a Hamilton CapTel phone, older adults with hearing loss won’t struggle to piece together the details – it’s a simple matter of reading the captions. The benefit of delivering such detail to those in your care? Trust. Already a member of the Hamilton CapTel Senior Care Program? If you know an older adult with hearing loss who can benefit from Hamilton CapTel, we’ve streamlined the hearing loss certification process to order a no-cost Hamilton CapTel Phone. 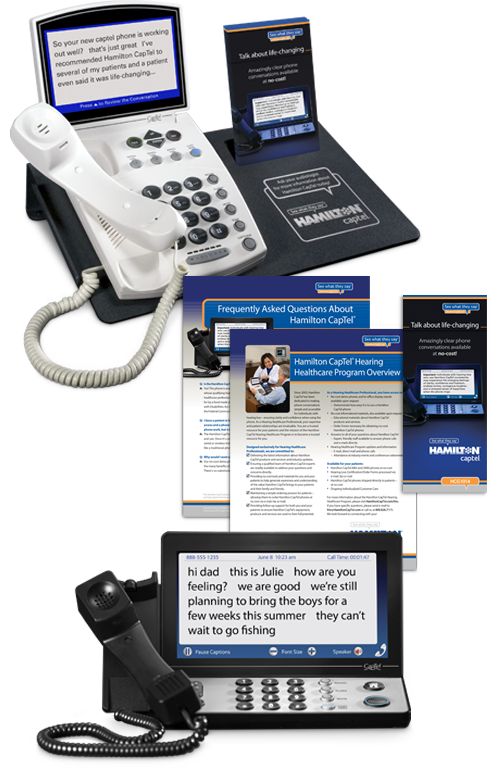 Complimentary informational materials – including demo phones and brochures – are available to you so that you can demonstrate how Hamilton CapTel works. If you’re just getting started with your new Hamilton CapTel demo phone, setting it up takes less than five minutes. This Quick Start Guide makes the process simple and easy to follow.